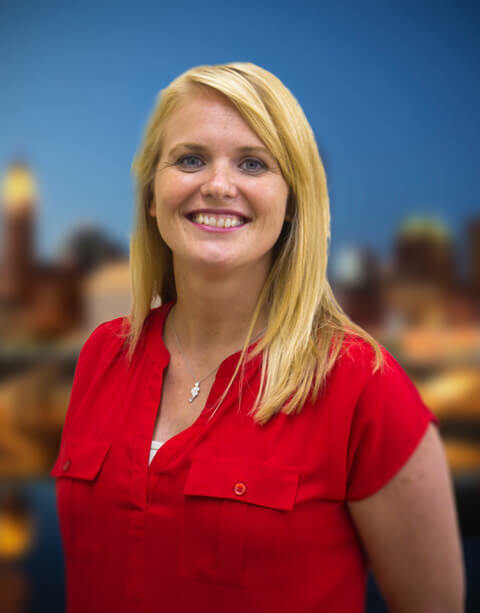 Congratulations to our Marketing & Communications Director, Amanda Kinsella, for recently being recognized in The ACHR News Magazine's "Top Forty Under 40"! Amanda is the Communications and Marketing Director at Logan A/C & Heat Services for the Dayton, Columbus, and Cincinnati, Ohio markets. Throughout her 10-year career at Logan Services, she has worn many hats and taken on multiple roles within our company, including everything from answering the phones, scheduling service and sales calls, to leading our big-box retail division, working endless hours meeting potential customers at home shows, and being the star of our TV commercials - she is locally recognized as the “peppy, energetic girl that’s always talking about furnaces and air conditioners”! To most people, HVAC is not considered an exciting industry — that’s not the case with Amanda. She’s passionate about the education side, the community service side and reputation of the industry at large. When asked how she got into the HVAC industry, Amanda replied, "I didn’t grow up in HVAC. I actually worked in TV news before joining the industry. I had the privilege of meeting a few employees from Logan Services before joining the team, and everyone seemed so genuine and caring. I was able to ease my way into a new career by starting out as a sales coordinator. I loved it, and learned so much from our sales team and by engaging with customers all day long. From there, I worked on managing our retail department which at the time included 34 big box stores. Over time, I ended up taking on more and more marketing projects including: TV/Radio advertising, newspaper/direct mail marketing, home shows, etc. I think HVAC marketing has been a perfect fit for me. It’s amazing to think I’ve been a part of HVAC for 10 years, and I’m proud to work in an industry that truly cares about helping its customers feel comfortable in their homes." Thank you for all of your hard work and dedication, Amanda! Congratulations on your well-deserved recognition!